A ship game that allows you to modify your ship into a battling ship with loads of firearms, this game is filled with action and a lot of things to do. 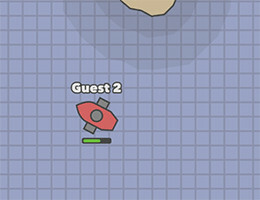 A players is supposed to earn the loot in the sea in the form of coins and but items using them to turn the ship into a beastly battle ship. The coins can be shot and can be used to buy a lot of things such as; canons, rams, snipers and loads. The best ship will have a bigger health bar and will easily destroy the smaller ships. So in order to survive the player has to quickly earn the coins and modify the ship to give a hard time to others and be on the top of the leaderboard. When the Doblons begins, a player is given a ship with a firing guns on teach side and the ship is supposed to move either left or right and the ship moves forward, the idea is to collect the coins which are of several types such as; bronze, silver, gold, blue, red green. Every coin has its price, and there value increases in the respective order. As the player collects the coins, one will have to fill the coin bar to buy an item from the menu. The item can be attached to front, side, deck and back. The front side has; chase cannons and battering ram. The side has; side rows, scatter cannons and side cannons. The deck has; dual cannon, big cannon, auto cannon and swivel cannon. The back has; rudder, rear cannon and mine. The ship can hold numerous numbers of cannons so it is a good idea to start off with buying auto cannon. The player needs a computer mouse to shoot the firearms. Use the left mouse button to throw the cannons. Press A or D to move left or right. Use F to shoot the coins. Press S or W to slow or to fasten the speed of the ship.